When do I sign up? Long term effects–3 ways US Government says companies can increase premiums. LifeStation or Bay Alarm Medical–What’s the difference? Medical Guardian Review–What’s Not to Love? Norwex EnviroCloth Review–Why Our Whole Family Loves It! Norwex Window Cloth Review-Good enough to replace Windex? Sonicare Toothbrushes–worth the money or a waste? As I continue to do live seminars and see people who want to learn about Medicare, I come across all sorts of ideas. In my research to provide more information on this site, I also found some disturbing discrepancies between what is true and what some sources allude to as true. Like my annuities post, I chose 7 facts, myths, and other ideas to make clear for you about Medicare Supplements. These 7 aren’t the only ones, but some of the ones I hear the most often. 1. The Medicare and You book is the only book the government sends out to help me understand Medigap options. 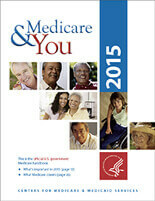 Anyone who is at the beginning of their Medicare eligibility will receive this Medicare and You guidebook. This book is put out by the Center for Medicare and Medicaid Services (CMS)–the department that handles Medicare and all its rules. It is thick and sometimes difficult to read. I try to outline the primary important things from that book on this site. However, there IS another book made by the same organization (CMS) that is supposed to be left by any Medicare Supplement agent that visits you. It is called Choosing a Medigap Policy: a Guide to Health Insurance for People with Medicare. Have you seen this book? Did the last agent you talked to leave one? If not, it would be in your best interest to try to find an agent that will give you the book, as they will try to stay in line with the information in the book. A great percentage of people that I meet have never heard of this book. They are also surprised to learn that the following statements are actually not exactly true. This is actually true and false. Let me explain. 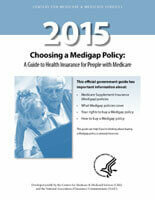 All Medicare Supplement Plan Gs pay the same copays, deductibles, and other gaps in Medicare. They are standardized to the effect that no Plan G can cover the Part B deductible ($147 in 2015). So it’s good to know which letter or letters you are looking for. Each insurance company offers different letters. All have to offer Plan A. If they offer more, at least one has to be Plan F or C. You can see the chart here for what the letters mean. You will see the same plans at different rates with different companies. This part is all true. Where it becomes false is the fact that there are more things than price and quality of the company that separates each plan. There are other differences. I’ve seen or heard this statement many times. It is true to a point, but it’s almost like taking something out of context. The CMS guidebook says that “There can be big differences in the premiums that idfferent insurance companies charge for exactly the same coverage.” It goes on to say this, though: The cost of your Medigap policy may also depend on whether the insurance company: Offers discounts, uses medical underwriting, sells Medicare SELECT, or offers a “high-deductible option” for plan F.
If all you are looking for is the price and quality of the company, you are missing out on some very key details of your shopping. For further information on these two questions, you should go here for question 1 and here for question 2. It is valuable information that no one should ignore, but few people know about. This is false. If you are on a Medicare Advantage (MA) plan, you cannot have a supplement. Here’s something to help you remember this when reviewing your options: When you enroll in a Part C (Medicare Advantage), you are disenrolled from Medicare Parts A and B. In order to have a supplement, you have to be in rolled in both Part A and Part B. If you are looking for complete coverage, you must look either at the right supplement plan that meets your needs or a Medicare Advantage plan, but not both. 5. You have to wait until open enrollment to start a supplement. While this is true for Medicare Advantage plans and Part D plans, this is not true with a Medicare Supplement. There is no “annual open enrollment period” for Medicare Supplements. However, if you are in a MA plan, and want to switch back to Original Medicare (and then a Supplement if you desire), you must first wait until that open enrollment period of October 15-Dec 7 each year. You also have the option of disenrolling after the year starts, but only for a short time. There are a few exceptions, though. If you just turned 65 less than a year ago, and have enrolled in a Medicare Advantage plan and decide you want to go back to Original Medicare, you can..but only in this time frame. In doing this, you have a guaranteed issue right enroll in any Medicare Supplement you want without answering health questions. This right, along with six others, are outlined on pages 22 and 23 in the “Choosing a Medigap Policy” book all selling agents should leave you. 6. You have to choose a new supplement every year. The goal of a supplement is to be a companion with Original Medicare. You do not have to choose on every year. In fact, there are people who have had the same supplement for 20 years and never had to do anything regarding an annual enrollment period. This is why choosing a supplement carefully is very important. In your seven-month window of your Medicare-Eligible year, you have the most decision power that you will ever have in your life for these plans–you are GUARANTEED to join any plan you want. After this period, however, you have to answer medical questions and qualify in order to enroll. Since your decision now can affect your entire life, you have to think about what the plan will mean thirty years from now, and not just here in this moment. This is where looking at pricing structures of your plan is extremely important. 7. 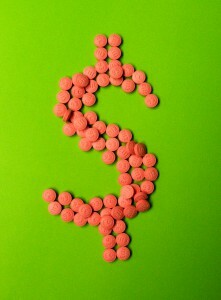 It is better to stay on your work insurance than to start a supplement. This is sometimes true, but sometimes false. This depends on each person’s situation and the outcomes of preparation for the “Cadillac Tax.” The only way to really discover what is right for you, though, is to meet with a trusted agent and look at the options side by side. I, myself, have met with potential clients and told them that they should stick with what coverage they had at that time. It is important that both you and your agent are looking out for YOUR best interest, and not just what you hear or what gets the agent paid. I encourage you to not just apply for something cheap online, but to meet with an agent who is interested in your care and future. This doesn’t have to be me, of course, because there are a lot of qualified agents out there. The important thing is that you have decision power right now, and you need to be armed with as much information as you can in order to make the right decision. What thoughts do you have about Medicare Supplement misunderstandings? What else would you like to see? Has this helped you in any way? Please leave comments below to help me improve the information I am giving to people. Your voice is important. Raphael resides north of Indianapolis, Indiana. He is an independent insurance agent. He is also the worship leader at his church, a husband, and step-father of one awesome 15-year-old girl. You can contact him at raphael@simpleseniorhealth.com. Good information, I didn’t realize that there were so many “letters” of plans. Even with what sounds like a great information I’m glad that I don’t have to muddle through all of it. I would fear making a wrong cal and the medications not be covered so well. Oh, Debra, that’s a topic in itself, medications. I will be tackling some issues surrounding Part D and medications here shortly. I’m glad you find the information useful, even though you don’t have to muddle through. Thank you for reading again! Great work again clarifying some of the issues around Medicare. This is not my first time coming to this site for information and clarification. You are providing an invaluable service here and I do appreciate it. Very good information. Keep up the good work! Thank you Kimmie! I will do my best. Just wanted to take a second to say thanks for explaining some of the misinformation I hear concerning Medicare. Having a resource like this website is a very valuable weapon to have in your back pocket. Thank you, Jeremy. I want to have this site in all my pockets. I think it’s information everyone needs to know! Thanks for reading. I’m glad you find it helpful, Debby. Let me know what if there’s a particular topic you want me to tackle. 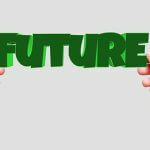 I hope that both you and your husband find the future information even more valuable! Click here for live chat! Get your free website yet?